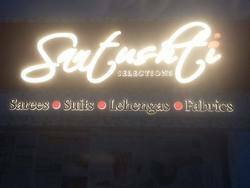 Prominent & Leading Wholesale Trader from New Delhi, we offer acrylic glow sign board, acp with acrylic letters, acp sign board and acp letter boards. 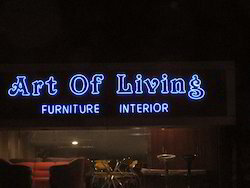 We are specialized in designing Acrylic Glow Sign Board that are widely used for outdoor advertising purposes. Owing to the rich industrial experience and expertise in this domain, we are engaged in providing high quality range of Acrylic Glow Sign Board. Our company has created niche in the field of providing ACP With Acrylic Letters to best customers . Matching up with the exact requirements of customers, we are involved in presenting wide array of ACP With Acrylic Letters. We are offering a commendable range of ACP Sign Board to our valued patrons. Our team makes use of quality raw material along with sophisticated technology for the fabrication of these products in tandem with parameters of the industry. Since our inception, we have been successfully manufacturing, retailing and supplying ACP Letter Boards . We are an eminent organization that is engaged in manufacturing, supplying and retailing ACP Letter Boards.